The supreme court today issued notices to the Delhi Pollution Control Board, Delhi government and Centre on a petition filed by three infants--Arjun Gopal, Aarav Bhandari and Zoya Rao Bhasin, all aged between 6 months and 14 months urging for urgent measures to bring down the “fatal” pollution level in national capital Delhi. Appearing for the infants, who moved court through their legal guardians, senior lawyer Kapil Sibal alleged that Delhi government had Rs.387 crore to combat pollution, but at least 87% of the funds lie unused. The respondents are to file responses by October 16 when the social justice bench of the apex court comprising of Justice Madan B Lokur and Justice U U Lalit will hear the matter. 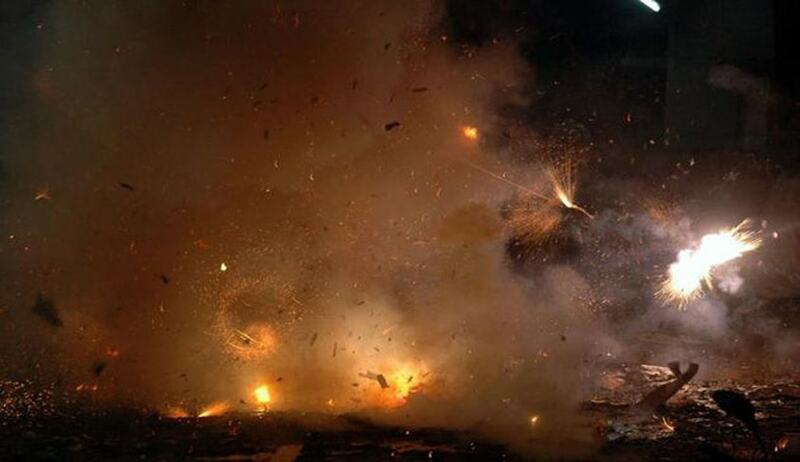 Filed with the help of advocate Pooja Dhar, the plea demands among other things total ban on use of firecrackers, sparklers and explosives during festivals. They have also sought an interim stay before the ensuing Diwali. The PIL also sought ban on burning of seasonal crops, strict action against those who dump dust, malba and other pollutants without following rules and immediate introduction of Bharat-V or better emission norms into operation uniformly across country. It also sought details from Delhi government on steps taken to reduce pollution, especially pollution caused by Particulate Matter of different sizes. It has listed Union of India, Central Pollution Control Board, Delhi Pollution Control Committee and The Delhi Police Licensing Unit as respondents. “Over the last 2 years, Delhi retained unique distinction of being most polluted city in the world. Levels of particulate matter are highest, and across the country, over 700,000 deaths occur annually due to air pollution related diseases. Studies show citizens have 30% lower lung capacity than Europeans, and that the children are the worst affected, as their lungs have not yet fully developed and their vulnerable systems are made vulnerable”, it said. The infants said that while considerable debate and long-term measures are being discussed by “slow moving state machinery for implementation of measures to control pollution levels in Delhi”, the highest court of the land was “duty bound” to take interim steps in effectuating the people’s right to clean, healthy and breathable air under Article 21 of the constitution. “The present Writ Petition is filed by and on behalf of 3 infants, all citizens of Delhi, seeking inter alia the immediate intervention of this Hon’ble Court against the inevitable and upcoming widespread use of firecrackers and fireworks and other products of the same classification, especially during the festivals of Dussehra and Diwali, but thereafter in all other events and festivals as well. While considerable debate and long-term measures are being discussed by the slow moving state machinery for implementation of measures to control pollution levels in Delhi, this Hon’ble Court is duty bound under Article 32 to take interim steps in effectuating the people’s right to clean, healthy and breathable air under Article 21 of the Constitution of India. The PIL said the Supreme Court has directly monitored the harmful effects of air pollution on India inter alia with its following orders--- Directing relocation of noxious and polluting industries in M.C. Mehta v. Union of India, (1996) 4 SCC 750,After accepting the Report of the BhureLal Committee, laying down a clear time frame within which there would be a conversion of commercial diesel vehicles to CNG and several other measuresin M.C.Mehtav. Union of India (Delhi Vehicular Pollution), (1998), Closing down of brick kilns in M.C.Mehtav. Union of India, (1998) 9 SCC 149 and Directing the National Highways Authority of India (NHAI) to be the nodal agency to carry out completion of the construction of bypasses and expressways inM.C.Mehtav. Union of India, (2004) 10 SCC 180. “Clearly, therefore, a Writ Petition for preservation of ecology and the environment will be maintainable under Article 32 due to violation of Article 21”, the PIL said.